Q.1 What do the circles on a data flow diagram represent? Q.3 ____________ is the file system used by the operating system to identify the physical locations of files on the hard drive. Q.4 ___________software allows the user to speak into the computer rather than type in text. 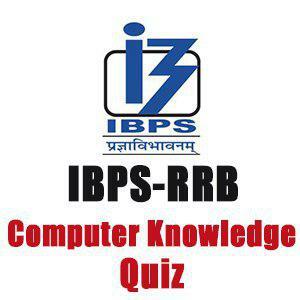 Q.5 A server uses _________applications software to support its client computers. Q.6 What does the XP stand for in Windows XP? Q.7 Which symbol is used in Excel to denote exponential numbers? Q.8 Which of the following is NOT a source of viruses? Q.9 Which printer type is an impact printer? Q.10 What type of software must to be used to translate scanned text into a format? Q.1 (3) Circles show the Transformation process on DFD. Q.2 (1) Formatting use for setting fonts and size for text. Q.3 (3) FAT- File Allocation Table use for identity the physical location of a file. Q.4 (1) Speech recognition software use for speak into the computer. Q.5 (1) Back-end software supports the request of client computer. Q.6 (2) Window XP- Window Experience. Q.7 (2) In excel ^ represents the exponential numbers. Q.8 (5) All are the source of virus. Q.9 (4) Dot-matrix Printer is an impact printer. Q.10 (1) OCR- Optical Character Recognition translate scanned text into a format.